$52 for residents $62 for non-residents for up to five people. Registration opens May 14th. Calling all novice campers! 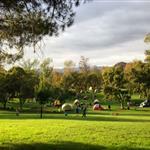 Enjoy outdoor fun in a family-friendly environment. Activities include: guided evening hikes, campfire with s'mores, and Extreme Rahim returns with his family pleasing magic/comedy show. Remember to bring your own camping equipment, dinner supplies to barbeque, and grill/charcoal. Kiwanis club will be offering a pancake breakfast. Cost is: Children 10 and under $3, Adults and Children 11 and over $5. Fishing and boating are available for an extra fee. 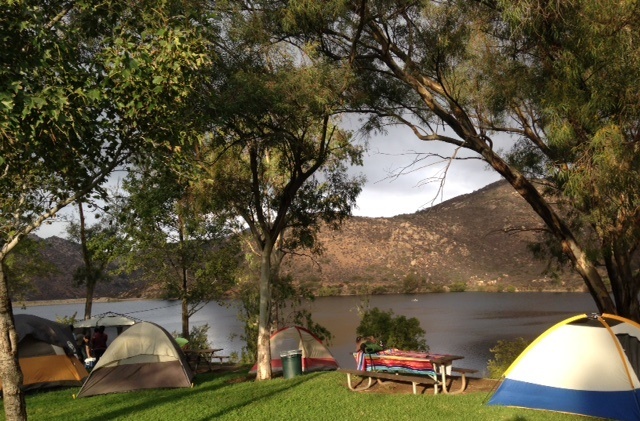 Lake Poway offers great fishing, and summer is catfish season. The park also offers several popular hiking and mountain biking trails. Bring your family out for a night under the stars! Register early because these events often sell out.